Can Ballús is a country house situated 250 m high in “Serra de Marina” with a view to the Mediterranean Sea. The house, placed at the north edge of the “Area Metropolitana de Barcelona”, was built in 1941 and rehabilitated in 2004. The weather is mild and warm as is usual in the area. 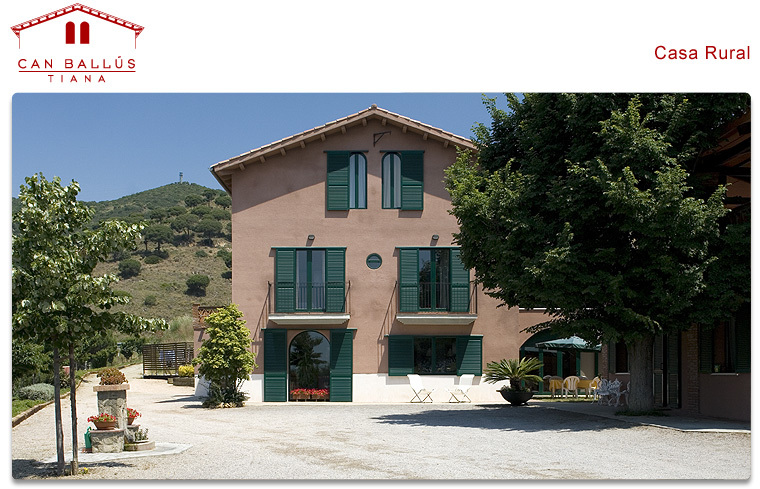 The buiding is sourrounded by pine trees and Mediterranean vegetation, as well as , vineyards cultivated in terraces. In short, you can enjoy a peaceful stay in the country being only 14 km away from Barcelona and with good communicartions with the city.